The board of directors of the Islamic Corporation for the Development of the Private Sector (ICD) has approved the appointment of Ayman Amin Sejiny, as general manager and chief executive officer. According to Bandar Hajjar, chairman of ICD board of directors, the appointment of Sjiny was after a rigorous search. “After a rigorous search, the board concluded that Ayman’s considerable experience in banking sector, along with his strong track record of success as a CEO, made him the outstanding candidate for the role. Ayman has demonstrated throughout his career the ability to work successfully in different environments, designing and leading strategies which resulted in impressive value creation. I look forward to working with him to create the next chapter of ICD’s story of success,” Hajjar said. “I have admired ICD from the outside for many years and am delighted, therefore, to have been chosen to lead the corporation in the next exciting phase of its journey. I greatly look forward to meeting employees, leaders, customers and other stakeholders after I join in October and to working with them to achieve further success in the years to come,” he noted. Sejiny is highly accomplished financial industry leader. He served as chief Executive officer of Ibdar Bank BSC, Bank Alkhair, Barclays Capital Saudi Arabia and as the chairman of Open-Silicon, Inc. and Bahrain Financing Company Group, as well as a board member of Unicorn Bahrain. He has in-depth knowledge and more than 24 years’ experience in investment and corporate banking in the local, regional and international markets. 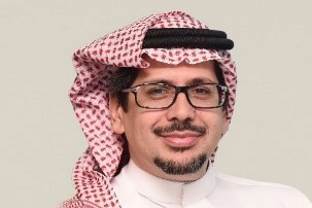 He held a senior role in a number of regional and international financial institutions, including Citi Bank and ABN AMRO affiliate in Saudi Arabia (Saudi American Bank “SAMBA” and Saudi Hollandi Bank). He is board and C-level performer with vast experience in innovating financial processes and products and establishing boards, managements and institutions in highly regulated and sophisticated jurisdictions and industry sectors. Mr Ayman holds a BA in Finance from Eastern Michigan University, United States. Which companies have the highest revenue per employee?